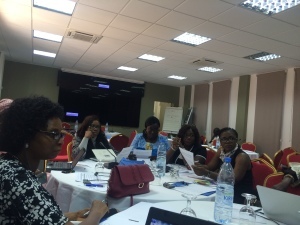 From 30 to 31 March 2016, the United Nations Development Programme (UNDP) organized a regional workshop on the theme: 2016 Africa Human Development Report (AfHDR) on the Political Economy of Gender Equality and Women’s Empowerment in Africa. 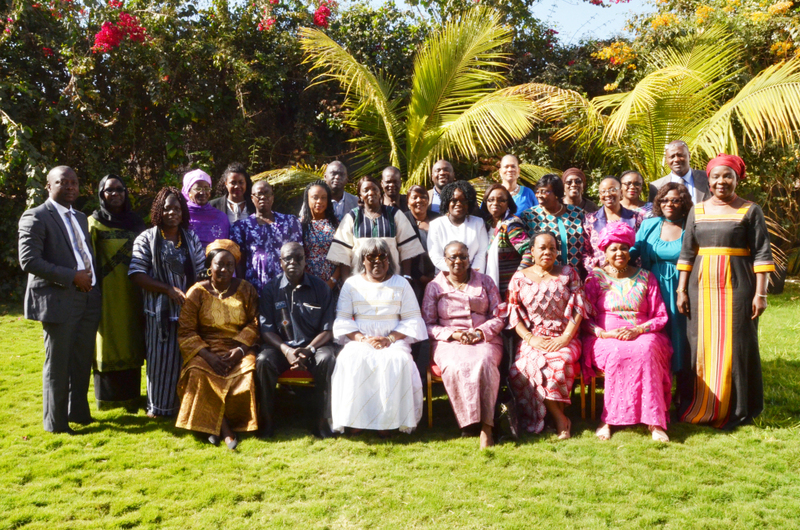 The workshop was held in Dakar, Senegal, at Onomo Hotel. The workshop convened representatives of civil society organizations (CSOs)/women groups, government institutions, development organizations, regional organizations (e.g. ECREEE), policy makers, etc. The regional consultation workshop was the last of a series of national level consultations held to inform the report’s development. The regional workshop aimed to contribute to the validation of findings from background research and the interactive study carried out as part of the report’s preparation process, providing “strategic inputs to the formulation of concrete proposals for action building on a joint assessment of opportunities, successes, challenges and lessons learned in promoting gender equality and women’s empowerment in the context of Africa’s human development”. Presentations were made by the UNDP regional secretariat, UNDP Senegal, Open Society Initiative for West Africa (OSIWA), African Union/NEPAD, International Labour Organization (ILO), United Nations Capital Development Fund (UNCDF), United Nations Population Fund (UNFPA), NGOs in Central Republic of Africa (CAR) (RFCMP), Chad (UFEP), Liberia (AWEP), Benin (AJDIB), Cote d’Ivoire (GOFEHF), Democratic Republic of Congo (DRC) (ASSOFE), Senegal (UCAD), Togo(Gf2D), Guinea (RFFMP), Ghana (WLDA), Mali (GAIE), Gabon (MALACHIE), Congo (ACOLF), Mauritania (ADDFM), Nigeria (Stephanie Peacebuilding and development), Sierra Leone (50/50 Group), Sao tome and Principe, and the Gambia (GAMCOTRAP). Despite the Beijing platform for action adopted by African countries, women continue to lead in illiteracy rates, poverty, lack of access to information, lack of access to formal sector jobs, lacks of access to productive resources, etc. In the private sector, women continue to face discrimination. Despite having the same competencies, employers prefer to hire men over women. Women are more likely to provide the capital to start-up their businesses, due to poverty and lack of collateral. Barriers to women’s land ownership continue to remain important issues. Addressing those barriers (socio-cultural, economic, etc.) is necessary to improve women’s work-force participation. Policy, laws and other institutional reform instruments to address gender inequality have fallen short of the expectation as there continue to be a gap between adoption /rectification and implementation/enforcement of these instruments. There is need for more dialogue between Ministries, CSOs and other stakeholders. Women centered discussions must give way to women-men centered discussions that emphasize the importance of inclusive development that takes into consideration the needs and differences of both gender groups. This is necessary to build a strong support base to advance gender equality. Training women, having a strong advocacy network and active participation in such networks, having a directory of competent women (by sector) who could serve in positions of leadership, maps/infographics and databases that provide statistics on the inequalities that exist between women and men, and creating a forum for regular exchanges between the relevant stakeholders could contribute towards addressing gender inequality. In addition, a community based approach, whereby gender equality and equity principles are made an integral part of community development projects implemented by the private sector or development partners should be pursued. Finally, it is important to share best practices of what is being done in the continent, at the regional level (ECOWAS, SADC, COMESA, and EAC) so as to learn valuable lessons from the experiences and replicate best practices. The ECOW-GEN model was shared with the participants. The discussions opened up a very important issue: how do we make CSOs effective as lobby groups and advocates able to hold their governments accountable to the treaties, laws, policies adopted to eliminate gender inequality? Share your views here or join the discussions on twitter using the hashtag #AfHDR2016.